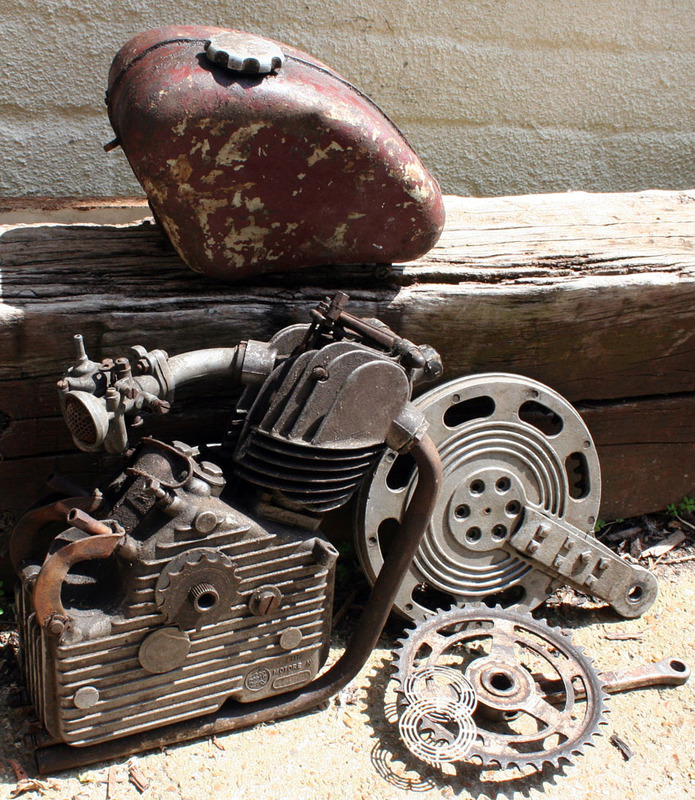 This is an original c1953 Ducati Cycle-Attachment. Before Ducati built motorcycles, they produced these 48cc four-stroke cyclemotor engines for attaching to a bicycle of your choice. They were the top of their class, being used for long-distance lightweight riding. As you can see from the photos, this example is in good condition.